Most of my experience, such as it is, comes from trial and error. burned and in a few instances allowed me to be humbled in front of others. was going to the "Arco School" in 1989. It was six days, and five evenings of intense education and hands-on learning. 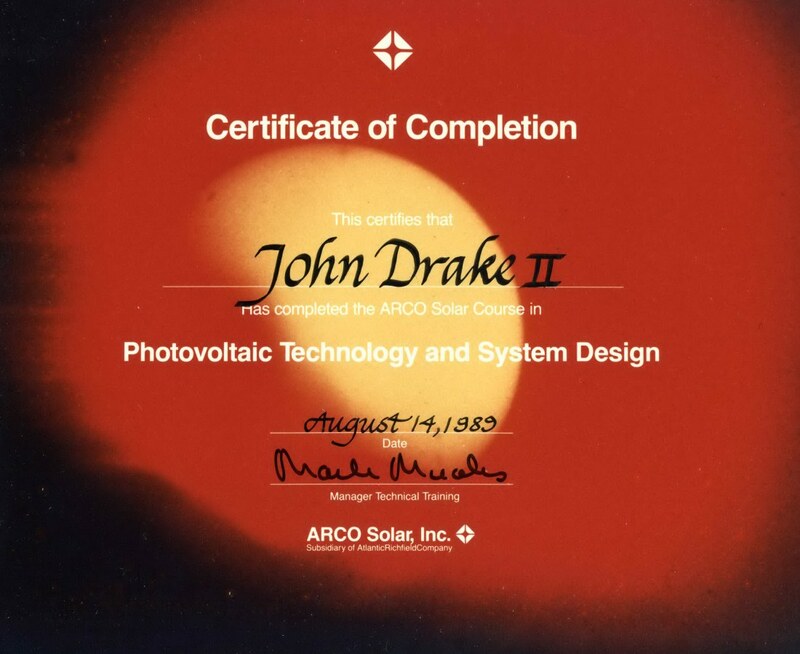 was the last one before they sold their solar division to Siemens. so I could get a room up in Walnut. and even thousands, of miles to attend the school. The other students were great to know and work with. The instructors from Arco were the tops, and that is no kidding. That week at the Arco School was a watershed time in my life. As I am writing this I am feeling kind of old, that was twenty-six years ago.